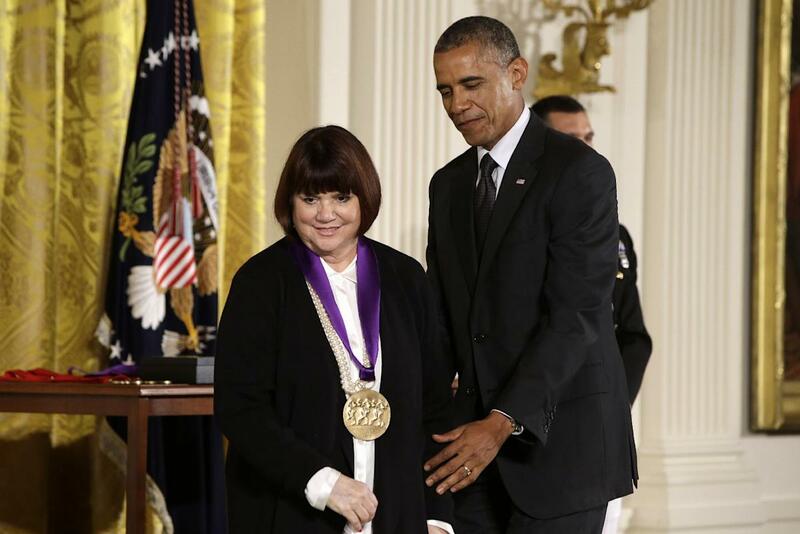 Back in April, Linda Ronstadt was inducted into the Rock and Roll Hall of Fame. Unfortunately, her battle with Parkinson’s disease proved to great of an obstacle to attend the ceremony. However, Parkinson’s did not hold her back from attending a White House ceremony where she was awarded the National Medal of Arts, as well as an unexpected secret whispered to her by President Obama. Although his focus on Linda Ronstadt and his crush on her back in the day was not the focus of the event, the secret crush brought a smile to Linda Ronstadt‘s face. Due to her battle with Parkinson’s disease, the Blue Bayou singer had to be wheeled to the stage, from the East Room, by a military Aid. However, the 68 year old songstress walked to the stage to receive the coveted award. President Obama may have been star struck by his former crush, but went on to show his support for musicians and the other arts. In her heyday, Linda Ronstadt was an iconic member of the music elite, she still is today, and she overcame many obstacles to scale the charts. In a time when many artists focused on one genre during their careers, Linda Ronstadt opted to diversify her collection. From Country music to pop songs and jazz, big band, operatic performances, and even on Broadway, Linda Ronstadt has practically done it all. In her lifetime, Linda Ronstadt has accepted eleven Grammy awards and even a Latin Grammy for Lifetime Achievement. However, of all her awards, the iconic singer may hold the crush of a President of the United States as the top honor and achievement.